He has the utmost respect for you. This sign is probably obvious, but somehow it is often forgotten. If your man does not respect you, there is no love there, plain and simple. However, if he honours your principles, respects your decisions and does not compel you to follow his every wish, it is one of the signs that he truly loves you.He is patient with you. Let’s face it, a lot of people in relationships can get a bit annoying. This can mean anything, from small domestic nuisances to screaming fits of humongous proportions. So if your partner is actually willing to put up with you even at your worst, cherish him and never let go, because he really loves you.He is selfless when it comes to your relationship. A big sign of true love from a man is when he puts your needs before his own. This does not mean that he should fulfil your every wish or turn himself into a carpet under your feet. Nevertheless, if he puts you before everyone else and does not want to even think about using you, that is true love.He protects you. If you feel like no harm can ever come your way while you are with your partner, and he tries to shield you (both literally and figuratively) from anything dangerous, that says something. However, if he is incredibly overprotective and views you like his property, then that is not true love.He does not view you as competition. Money and success can often destroy a relationship if the achievements of one partner are far greater than those of the other partner. If your man does not feel threatened by your success and/or does not use his success as a sign of his superiority, it is a sign that he loves you. If he truly loves you, he will be able to congratulate you on your achievements and refrain from showing off his own.He considers your feelings. This means that your partner will never deliberately do anything that might upset you. At the same time, if he sees that you are in a bad mood, he will know how to make you feel better.He cannot even think of hurting you. Even though there is an old Russian saying ‘If he beats you, it means that he loves you’, it is a very wrong notion. If a man truly loves you, he will never lay a hand on you, ever. Domestic violence is not a sign of love. He will also never consider hurting you emotionally, despite most likely knowing about your vulnerabilities.He avoids temptations. It is universally acknowledged that a lot of men love with their eyes. Therefore, if your man only has eyes for you and nobody else, it means that he truly loves you. He will also most likely try to stay away from all the things that might lure him towards unfaithfulness.He does not try to hide you from his friends and family. 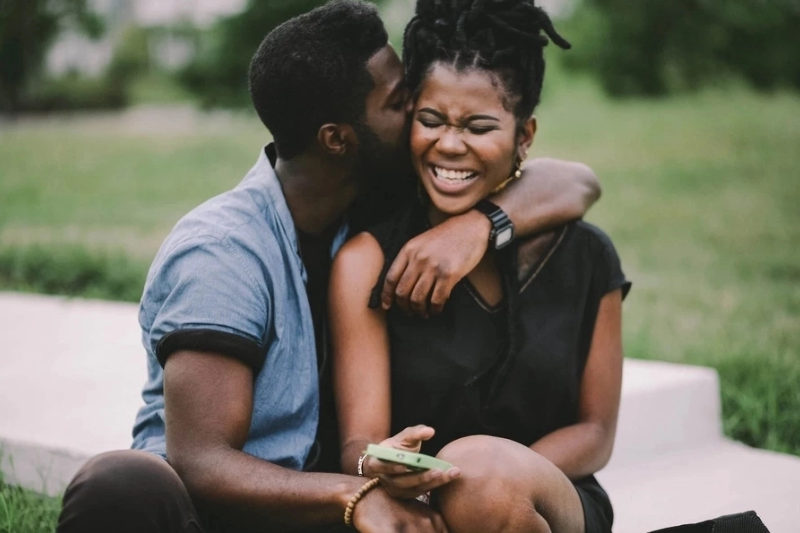 If your partner has a good relationship with his family, he would definitely want to introduce you to them as soon as he realises that what he feels towards you is true love. However, do not be discouraged if this does not happen, as not everyone is close to their family. That said, he would certainly like you to meet his friends if he feels that you are ‘the real deal’.He keeps your relationship fresh even after a long time. Some men are only sweet during the initial stages of relationships. As soon as they get what they want, they often grow cold, indifferent and distant. But if your man makes you feel like you have just started dating even though it has been many months or years, it means that he truly loves you and cares for you deeply. 0 Response to "Find Out Whether Your Man Truly Loves You"